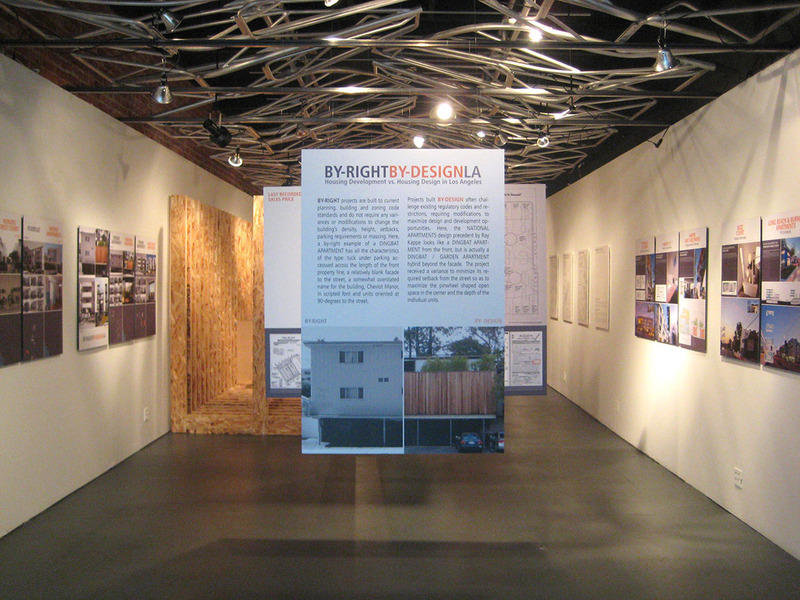 BY-RIGHT/BY-DESIGN studies significant Los Angeles housing design precedents and their related development types, both essential contributors to the residential quality and character of the city. A side-by-side comparison of these projects – real estate development models built by right, versus innovative architecture built by variance – reveals new insights for future housing production in Los Angeles. Projects are examined through the lenses of real estate development, urban planning and design, expanding the context in which these works can be understood, evaluated, and, ultimately, built upon. “By-Design” precedent projects have been selected from the canon of extensively published Los Angeles housing precedents accepted as exemplars by the design profession. Projects built by design often challenge existing regulatory codes and restrictions, requiring modifications to maximize design and development opportunities. Related “By-Right” development types have been identified using published resources from the urban planning and real estate development fields. “By-Right” projects are built to current planning, building and zoning code standards and do not require any variances or modifications to change the building’s density, height, setbacks, parking requirements or massing. Professional interests in housing development are often viewed as trade-offs by those in the industry: better design costs more, good planning means less yield, profitable development means unremarkable planning and design strategies. 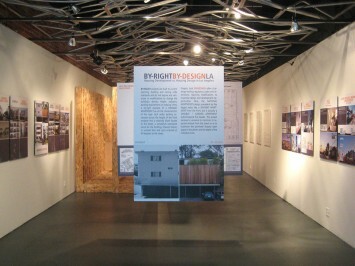 A cross-comparison of a number of projects held as reliable types by real estate developers, innovative exemplars by designers, and approved either by right or by variance by urban planners, offers a brand-new way to see housing development issues more clearly, helping practitioners move beyond housing production as a zero sum game towards the more polyvalent solutions that will be required as LA densifies. Researched and presented by LIZ FALLETTA.